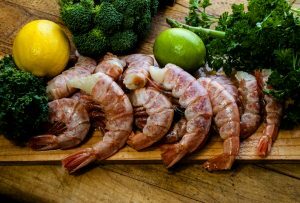 Wild Alaska Salmon & Seafood Company is giving away a 5lb box of FREE WILD SALMON to anyone who refers new customers. It’s easy to encourage friends and family to buy wild salmon directly from the fisherman. 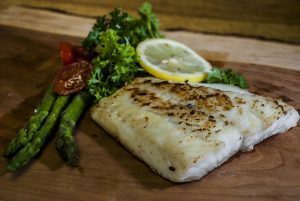 New customers get 10% off their first purchase if you refer them – they get healthy delicious seafood at a discount while you earn rewards. Log in to your account to grab your referral code and start sharing it with others. Your referral code saves new customers 10% off their first purchase. You get your own 10% off coupon every time you refer a new customer. 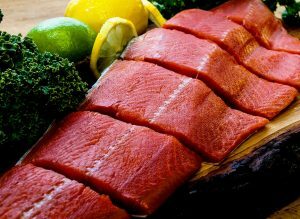 Refer 10 new customers to get a Free 5lb Box of Wild Alaskan Sockeye Salmon. Your account page keeps track of how many new customers you refer. It’s easy to redeem your rewards any time from your account page. 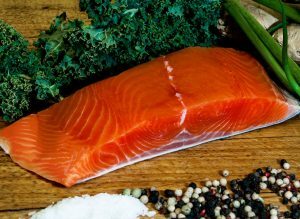 Get Started by going to My Account > Referrals (login required) to copy your referral link and start sending it to all the salmon and seafood lovers you know. To participate you must be a customer who has made at least one web order of $100 or more, you must have an account, and you must subscribe to email communications. You referrals are listed at my-account/referrals. Each referral first appears with status Pending when the new customer order is placed. 24-48 hours after delivery confirmation of the order, the status of the referral changes to Qualified. A referral is not Qualified if the order is not from a new customer. A new customer is someone who has not ordered within the past 12 months. 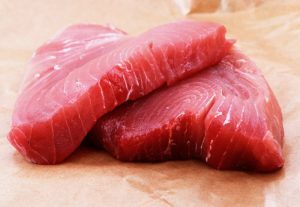 The referral is not Qualified unless the new customer order includes at least 5lb of wild sockeye or king salmon. Customers may not refer each other within any 12 month period. Q: Is there any limit to how many customers I can refer? A: No. Refer as many new customers as you can. Q: How long does it take for my referral to appear? A: Immediately. Your referral will appear as Pending as soon as a new customer places her or his first order using your referral code. Then between 24 and 48 hours after the order has been delivered, the status of your referral will change from Pending to Qualified. Q: Can I redeem a referral that is Pending or Expired? A: No. You can only redeem Qualified referrals. Q: Can I redeem 2 or more referrals at once to get more than 10% off my next purchase? A: No. Each referral generates a personalized 10% off coupon that works individually, or in a group of 10 when redeeming free salmon. Our system allows you to apply one coupon per purchase. You can’t generate a second personalized 10% off coupon until you use the first one. Q: Can I use a personalized 10% off coupon for someone other than myself? A: Yes. Although you have to be the “Bill to” you may set the “Ship to” a different person. Q: Can I redeem one referral for a personalized 10% off coupon and also redeem 5 referrals for a free box of salmon? A: Yes if you have enough Qualified referrals. Q: Can I redeem more than one Free box of salmon at one time? A: Yes. If you have enough Qualified referrals then you can redeem more than one reward at the same time. Q: Can I use two coupons at once? A: No. Our shopping cart only allows a customer to enter one coupon per order. Q: Can I refer people I don’t know? A: Yes. Put your link on social media. Ask people you know to email your referral code to their friends and family You can refer anyone!. Q: Do I get credit if someone I refer starts referring other people? A: No. You get referral credit for purchases made with your referral code only. Q: Can I get other people to give out my referral code? A: Yes. The more people who distribute your referral code the better! Q: Does my referral code give new customers 10% off their entire order or only certain products? A: Your referral code gives 10% off all products except gift cards. Q: My referrals expire after one year. When I redeem a referral can I choose to redeem the oldest referral? I want to redeem the referral that will expire the soonest. A: Our system automatically redeems oldest referrals first. Q: What is a Wild Card? A: A Wild Card is a branded gift card from Wild Alaska Salmon & Seafood Company. You can use it like cash when ordering. Q: Can I apply a coupon to get a discount when buying a gift card? A: No. Gift cards are not eligible for discounts. Q: Can I use my gift card and a coupon together? A: Yes. Wild Cards work like cash. You may use a coupon to get a discount for your purchase and pay for it with your Wild Card.